Get ready to kick those lazy mornings into high gear! We have five flawless coffee recipes for you to try today! Well, maybe not all in one day, unless you’re an absolute coffee lover like me! My love for the rich and delicious caffeinated beverage knows no bounds. You know how some people get that gleam in their eye when they talk about their significant other? Well, I’m pretty sure that’s how I look when I talk about coffee. The fabulous thing about these coffee recipes is that there really is something for everyone. Whether you have a deep, meaningful relationship with the tasty beverage or just like a cup here and there to kick start a slow morning, at least one of these 5 recipes will fill you with caffeinated bliss. Ready to check them out? 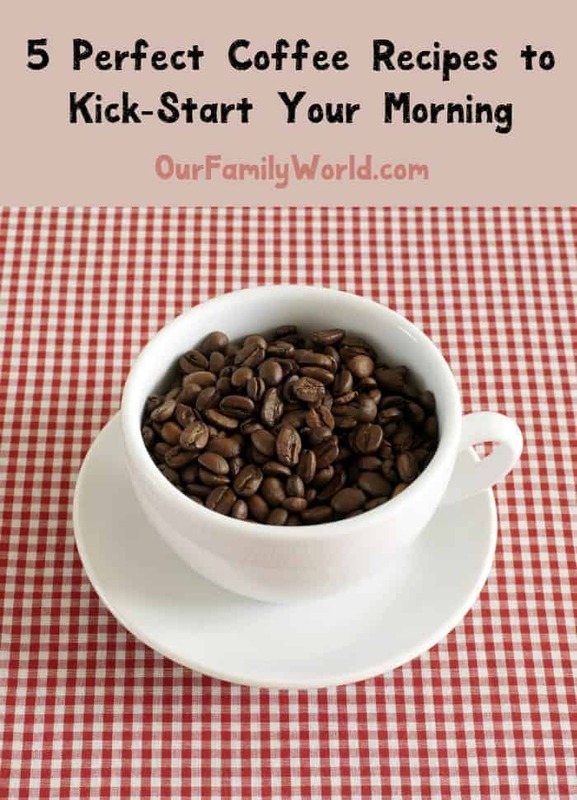 Do you have any favorite coffee recipes to kick start your morning? Share in the comments! Pour the espresso into a shaker (or blender), add the light brown sugar and the ice cubes and shake (or blend) for around 20 seconds. Pour into a large glass and serve immediately. The day before, prepare the coffee ice cubes: pour the cold coffee into ice cube trays and put in the freezer. 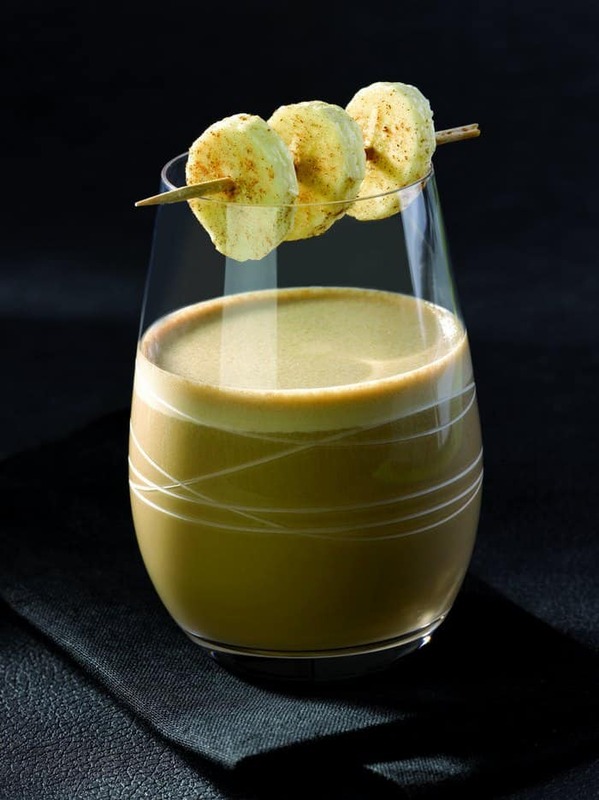 Into a shaker, pour the espresso, coffee ice cubes, agave syrup, coffee liqueur and milk. Shake for 15 to 20 seconds, and pour the drink into a glass. Lightly whisk the cream and garnish the drink with it. Finish with a drizzle of chocolate syrup: pour it slowly and make a design on the top, if you desire. Fill your espresso-brewing cup ⅔ with espresso coffee and ⅓ with sugar-free chocolate powder and gently mix. Prepare your espresso as directed. In the meantime heat up a cup of Hazelnut coffee creamer. (You can also try French vanilla). Once brewed, divide the coffee evenly between 2 cups and add creamer. Sprinkle a dash of cinnamon on each and serve. No sugar needed! First, pour 2 inches of condensed milk into the base of 4 (4oz) juice glasses. Pour the equivalent of one shot of coffee on top of the condensed milk in each glass. Take the remaining four shots of coffee and put them in a blender with four ice cubes. Blend in the blender until a thick foam is formed. Pour the foam into each glass carefully. Serve immediately. Super yum, right? I honestly don’t know where to start! I’ve never been much of a cook, but I rock at making coffee recipes if I do say so myself. I was even a barista for about a month once! If you’re madly in love with that smoothie recipe up there, we have another one that I think you’ll really adore. 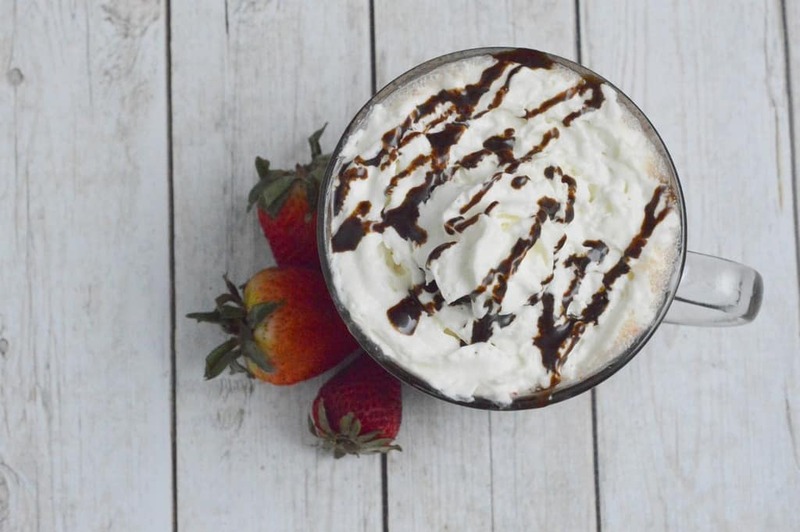 Check out our Strawberry Coffee Smoothie Recipe! It’s super tasty! I was a little cynical of putting strawberry and coffee together, but it works brilliantly in this recipe. I’m a coffee lover too and would love to try out these recipes! Thanks for sharing!